This product has a minimum quantity of 120 pcs. This item may be branded at your choice. Quantities not available on stock are delivered within 2-6 working days. 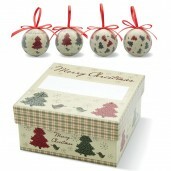 Set of 4 Christmas baubles, in pearl finish. 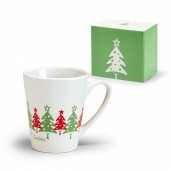 With red ribbon hanger and a green and red Xmas tre.. 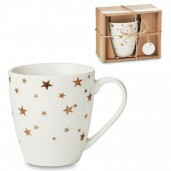 Ceramic mug with star decal in gold. 200 ml capacity. 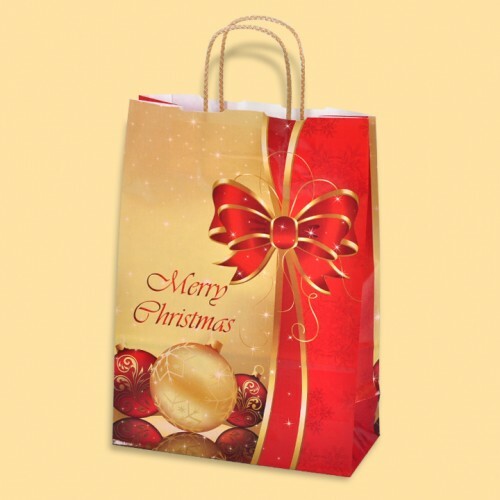 Presented in carton box with PVC sleeve and ri.. 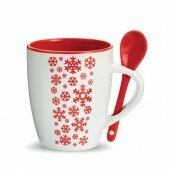 Ceramic mug with integrated spoon with snowflake decoration with matching gift box. Size: &Osla..
КОЛЕДНА ЧАША Цена – 4.25лв. Капацитет: 250мл. 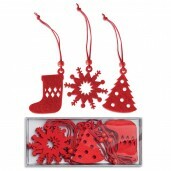 Коледна чаша от керамика в подаръчна кутия Цена..
Set of 12 felt tree hangers in 3 traditional design: Christmas stocking, snowflake and Christmas tre..